Please note: The ring in the photos has been sold. It is used to show you how these rings can appear when built. Your ring will be custom-built for you upon ordering; please ensure you are at peace with my lead times (listed in my shop announcement). 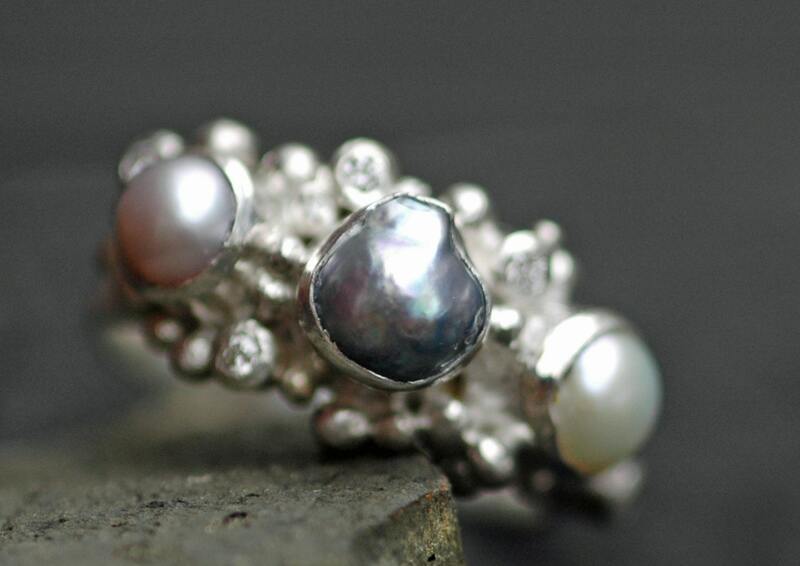 This ring is built around a cluster of three pearls. 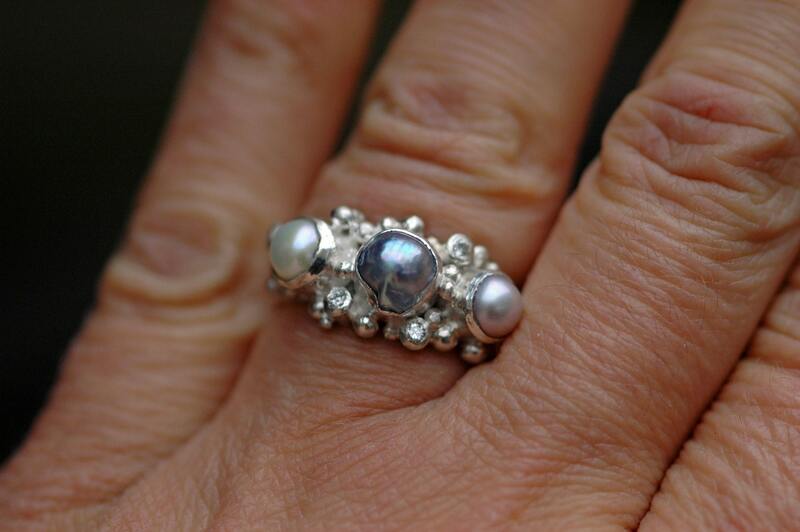 The middle pearl in the ring you see here is an organically-shape silver/grey freshwater pearl. It measures around 7mm across. I have many colours of pearls available for this design, including any of the freshwater pearls you see elsewhere in my shop (white, lavender pink, peach, champagne, steel grey, chartreuse green). 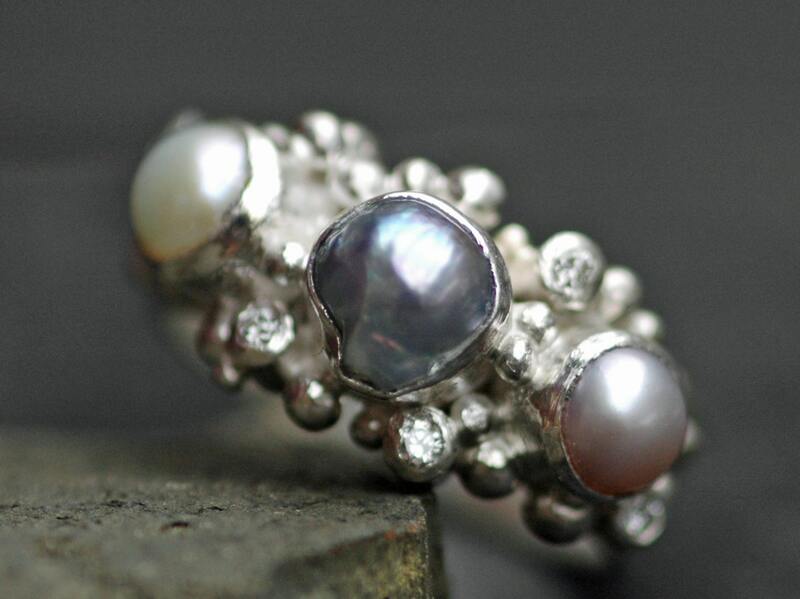 I can also build this piece with a Japanese saltwater pearl (white, silver grey, chocolate). 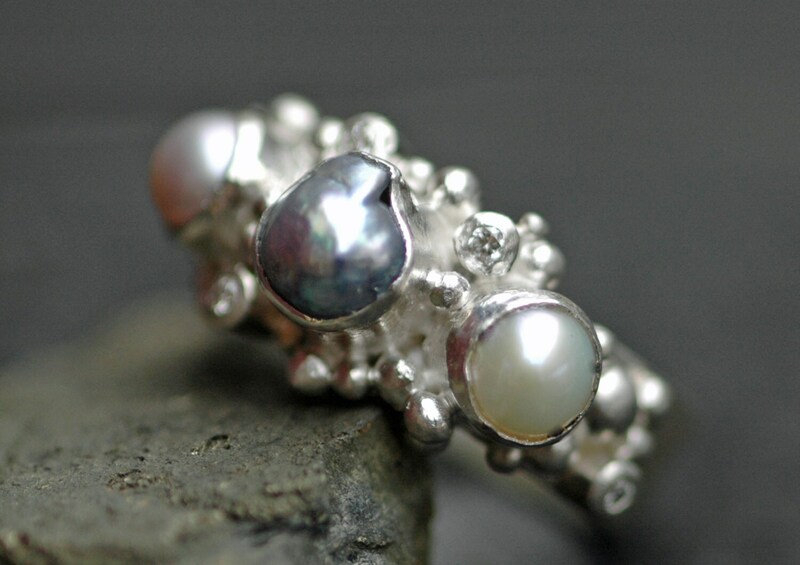 Or, if you like the organic silver/grey pearl featured in the ring you see here, I do have more of those. 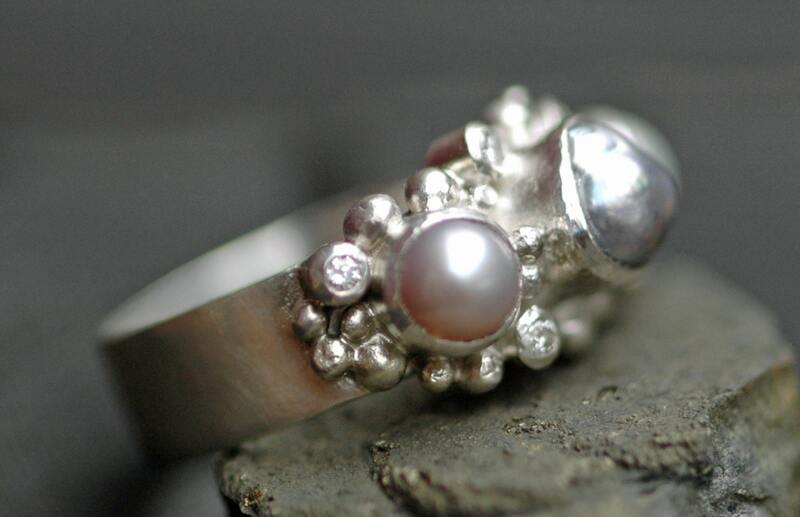 The flanking pearls are 4mm. Here you see one white, and one pink. Dark silver grey is also available. Studded around the pearl trio are both granulation, and little tube-set diamonds. These little diamond are around 1.5mm across, and are set with an organic appearance. The ring band is sterling silver, and is 1/4" wide. Any texture can be given to this ring, including matte, high shine, hammered, birch bark, or herringbone.